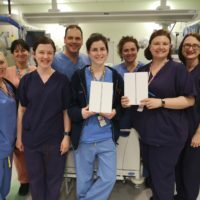 We are thrilled to have donated 2 new iPads to the team on PICU at the Great North Children’s hospital! 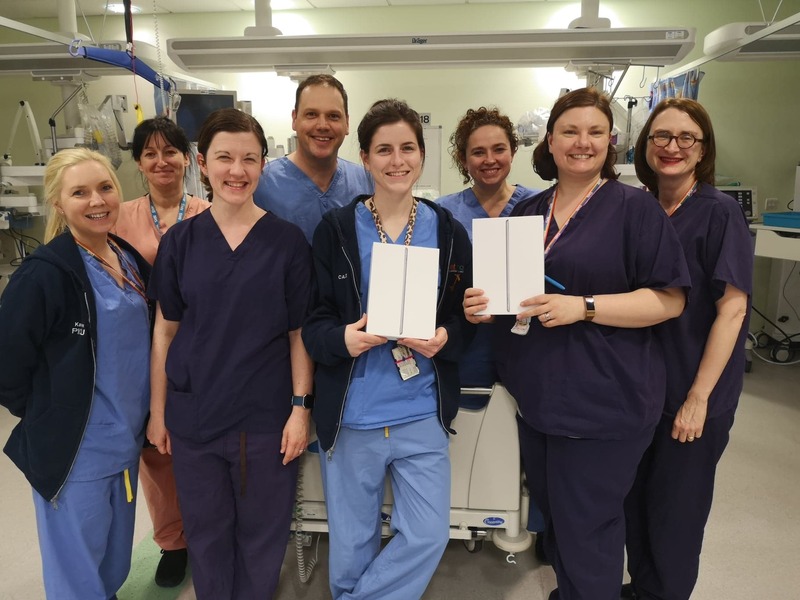 We provide iPads for children and their families to use, but these iPads will be used along with 2 we donated in the past to help deliver cutting-edge simulation training to all the staff on the ward – which we know already has saved children’s lives. Thanks to the support of the Rothley Trust we were able to supply the 2 new iPads loaded with the specialist software Shelley (from our Advisroy Panel) uses in her role as a clinical educator on the ward. Rather than go over what you WOULD do in a given situation, staff can be put in real life situations, simulated using the iPads as the patients monitor – this means the person leading the training can alter the condition of the patient (a doll) the staff are treating and the staff need to respond appropriately. Staff on the ward are able to practise difficult situations, identify points for improvement, pin-point what practice could be improved, and then share this information with all the other staff on the ward. Nurses, Doctors and Consultants have all fed back that the training is improving their care and decision making under pressure – we are helping to make a huge difference! 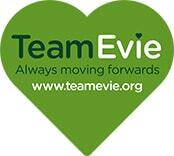 As mentioned at the start of this article – we are helping to save children’s lives. How amazing is that?! In PICU children are very poorly, often critically ill, and decisions need to be made quickly under pressure – this training helps staff to be prepared for these situations so they can be calmer and more confident when managing an emergency situation. We are working on a video including interviews with staff and footage of the training which we hope to show you in the coming months…watch this space!